pay4essays.net is a writing company that provides diversified help according to customers’ requirements. Here we will describe, in what areas our writers can help you, and what to expect from our assistance. 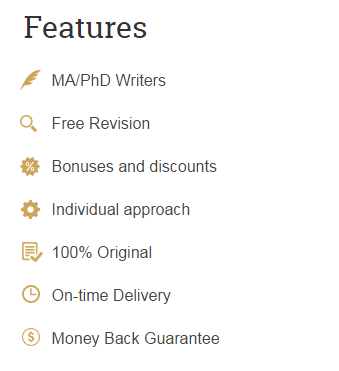 This range also includes services such as paraphrasing, editing, and proofreading, which are perfect for those who have already written their paper and only need a little help. You can order all of the papers mentioned above in one of over 50 subject areas that we cover. Besides, we hire new writers and add new subjects from time to time so that all students could find what they are looking for here. Admission services are a separate range here at pay4essays.net. If you are having difficulties even before you started college, order our help and rest assured that it will improve your chances significantly. To make sure that you can provide all the details about your paper, we have introduced a number of customization options, such as the sources to be used, quality and language standards, difficulty level and others. Additional services such as a top writer and a plagiarism report are there to increase your convenience, but you can switch them off if necessary. Whatever you order, we can guarantee that it will be original by at least 95%. This is the requirement set to all our papers by default, but we still check each one of them multiple times before sending to clients. To prevent any mishandling of your personal and financial information, we take measures such as encryption and limited access. Besides, as the payment providers we work with are all widely known and reliable, you are protected against fraud. Address all your informational queries to our friendly support team. They are available 24/7 via phone and chat. The average waiting time is only 10 seconds. Set the deadline and rest assured that your paper will be delivered just when you need it. Our deadline fulfillment level is 99%, with 1% representing cases when customers have changed paper requirements and agreed to extend the deadline. Currently, the services provided by pay4essays.net cover the needs of 97% of all users that consider ordering here. However, we are never complacent! New paper types and subjects are being added, as well as new highly qualified writers join our team. All in all, it means that whatever your writing needs are, we will be able to cater to them. Try it today! Order now and use a nice discount for your paper.